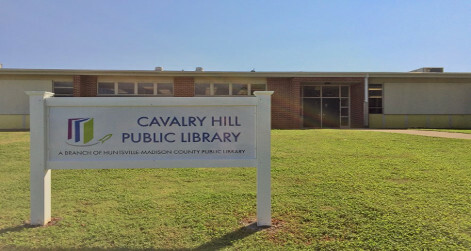 Welcome to the Cavalry Hill Public Library! Our library is named in honor of the 10th U. S. Cavalry Regiment of African-American men known as “Buffalo Soldiers.” These heroes set up camp at the top of the hill to recuperate after returning from the Spanish-American War in Cuba. Conveniently located off of University Drive and Pulaski Pike, in the heart of the Northwoods community, the Cavalry Hill Library is nested in the west end of the former Academy for Academic Arts Magnet School. We are excited to offer this community a contemporary inspired library equipped with programs, activities, and numerous public access services that will fulfill the community’s unique needs, as well as support our focus on family literacy. We invite you to create, explore, and connect with us today.